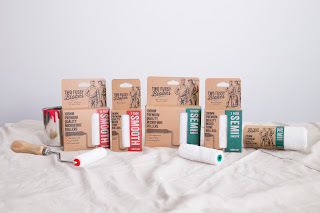 Microfibre roller sleeves. Some of you may have heard of and used before, some of you may not. There are only a handful of quality ones available, which seems strange to me as I believe they are the best style of rollers available. Whether it be ceilings, walls or any type of woodwork (where you can fit them). 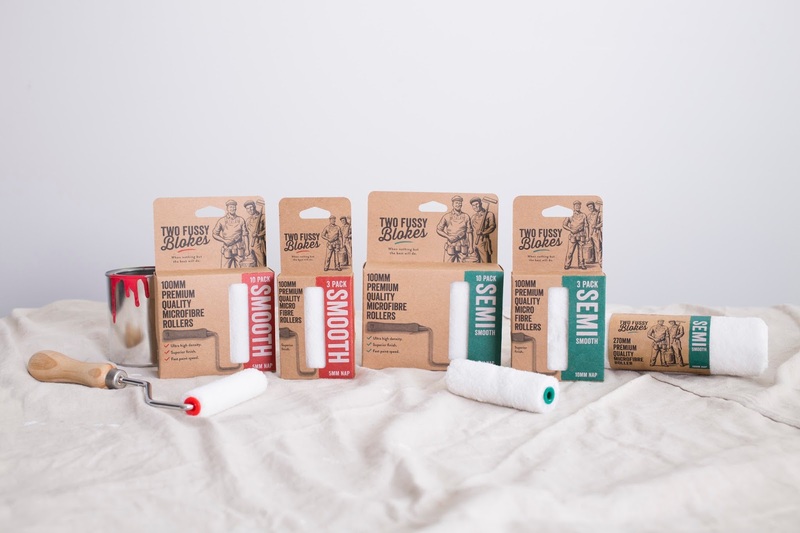 Quality microfibre roller sleeves can give you outstanding results. Without the need to use a brush in certain situations if the paint and conditions allow you to. Along come two fussy blokes. A company based in Auckland New Zealand. Two (fussy) guys who set out to produce high quality decorating products as they felt the ones available to them just weren't cutting the mustard. Myself having very little experience with products from the painting and decorating market in New Zealand (apart from the pal paint brushes) means I can't comment on it with great knowledge. But what I do know is that they have produced some exceptional microfibre roller sleeves. Now the idea of microfibre roller sleeves across the board is that the aim to provide as close to a spray finish as possible. Some brands do. Some brands don't. Two fussy blokes are definitely in the some do category. Up until now the wooster microplush sleeves have been the industry standard in my opinion. So these two fussy blokes had their work cut out if they were to topple wooster off top spot or even join them at the same level. I myself am a very fussy bloke so only the best will do for me. If something doesn't work, or produce great results then the product gets binned or relegated to lesser tasks and the job gets done again. 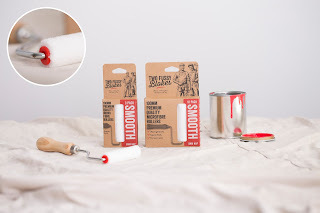 Having used these sleeves (smooth 5mm, semi smooth 10mm) in a variety of paints, on different substrates for extended periods of time. With some pretty remarkable results. So why are they so good. Well to be quite honest I really couldn't tell you why or what makes them so good. Great internal mechanism for the roller pole, no bits of lint coming off (even from first use), cleans super easy. Maybe just a few things that make them great. What I do know for sure is they work..... Really well. 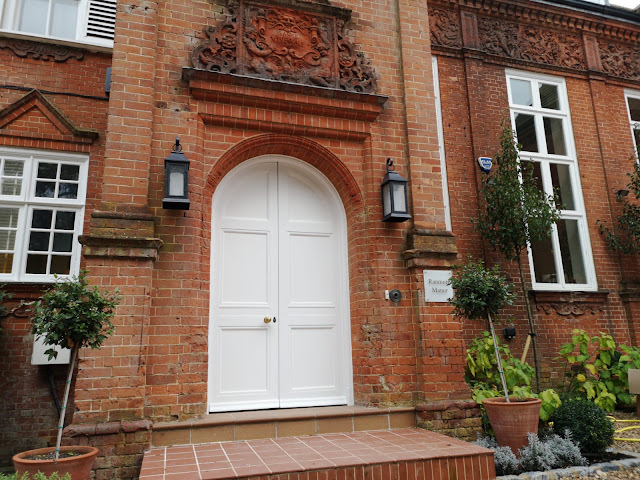 Now the paint, temperature, porosity of the surface all play a part in getting great results. Especially in the modern painting and decorating world where everything is water based. Sometimes areas like doors, window sills and any large areas can be a painters worst nightmare when using quick drying finishes when not spraying. In walks microfibre sleeves. In this case two fussy blokes. Having a quality microfibre roller sleeve for large areas is imperative. Quality ones like those made by two fussy blokes is a breath of fresh air. Do all your edging, roll the centre area and leave it to dry. No faffing around trying to section it by brush and worrying about losing your wet edge. Magic 🧙‍♂️. Now as stated above there are a few factors that play a part in getting these results. But when they're all in your favour, combined with a high quality microfibre roller sleeve like these will leave you speechless. Don't just take my word for it. Give them a go. Get the right paints, get the right brushes and grab some two fussy bloke microfibre roller sleeves and you will be laughing. Being a company from New Zealand breaking into the UK market like many other companies isn't an easy feat. Retailers and painters gaining trust in new products is a tedious process. They have products that sell well and taking on more products that you have no idea about can be costly. 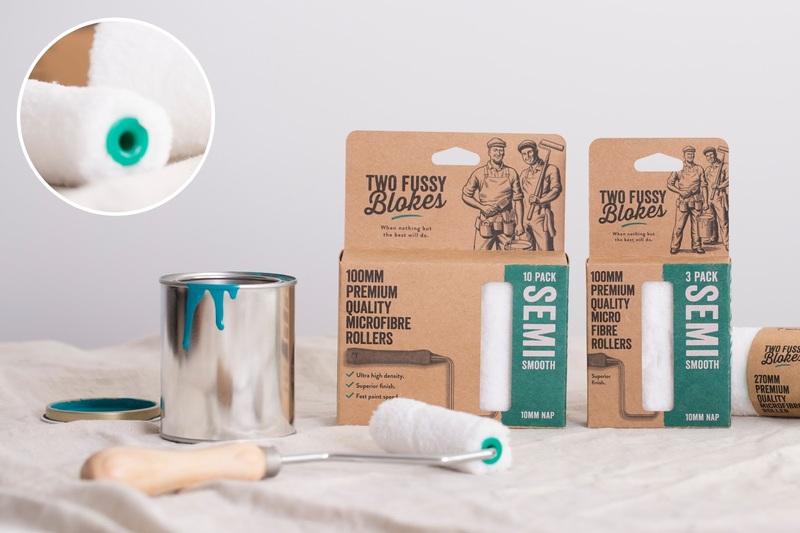 Paintshack have taken the plunge and are putting these on their shelves and I don't think it'll be long till every supplier in the UK will be stocking Two Fussy Blokes products.... Because that would be a wise choice, they deserve it. Head over to www.paintshack.co.uk to get your hands on some now.